"Knitting in the round is great for creating three-dimensional pieces that don’t need to be seamed - perfect for gloves and mittens. 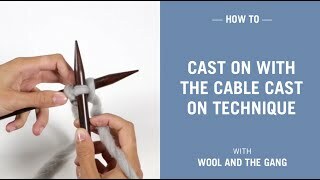 This method creates a ‘tube’ of knitting. (We prefer using sets of five double-pointed needles, but you can also use a set of four.) Don't be put off by the amount of knitting needles, it's actually really straight forward!" Divide your stitches on three needles. You are going to use your fourth needle to knit. 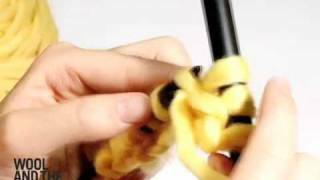 Start kniting the stitch closest to the tail. 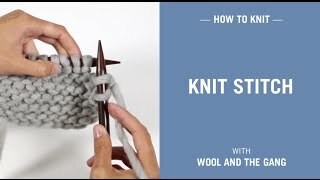 You will knit around the needles in an anti-clockwise direction. At the end of the first round, you will have an empty needle. Use it to knit the next round. When knitting in the round, there will be no joining for you to do in the end and no seems in your project.